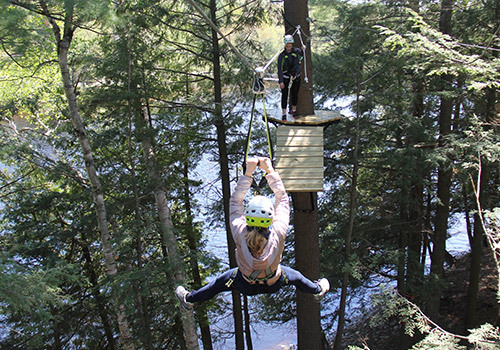 Ride seven zip lines for close to 1000’ of heart pounding aerial adventure! Challenge yourself with rope bridges, obstacles, cargo nets and more! Climb up to the platform, clip into our special device and take a leap of faith! 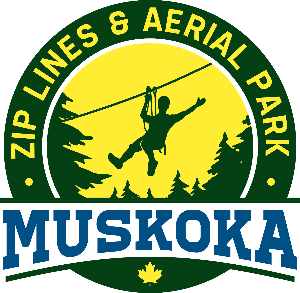 Nestled around Santa’s Village, the Muskoka Zip Lines and Aerial Park offers all the excitement of a modern aerial adventure park with the added bonus of being next to a bustlingamusement park. 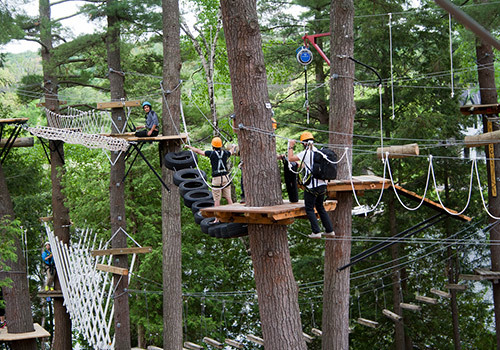 The facilities offer an adventure experience for all ages. Spend the day with us and try everything or spend a few minutes and take a leap from the Jump Tower for a quick shot of adrenaline! Be sure to check out the combo packages and plan your day! 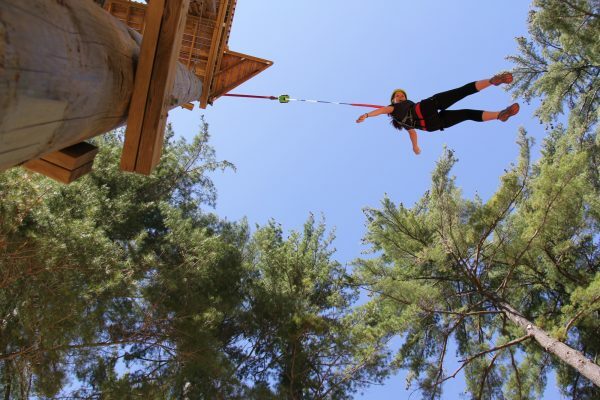 Santa’s Village Theme Parks is proud to have partnered with Challenges Unlimited Inc., an internationally recognized expert in the field of aerial adventure, to lead the development and operations of our zip lines and aerial park adventure. Their leading edge vision and expertise has created an aerial adventure experience to satisfy the most discerning of thrill seekers. We dare you! We can climb in the rain! If thunder is heard we evacuate and wait 30 minutes until it resolves. If thunder continues, we will issue a rain check to come again at a later date. Participants who cannot successfully complete the orientation as determined by the guides will be eligible for a refund. Participants who choose not to complete the course beyond the orientation training, will not receive a refund. Participants who choose not to jump off the JUMP TOWER or FLIGHTLINE will not receive a refund.